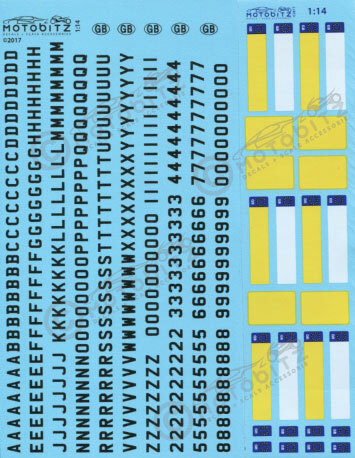 General range of decals at various scales. MBD14REG/B UK Number Plate Letters, Numerals, GB Plates and Front & Rear Plates. 1/14 Waterslide decals. 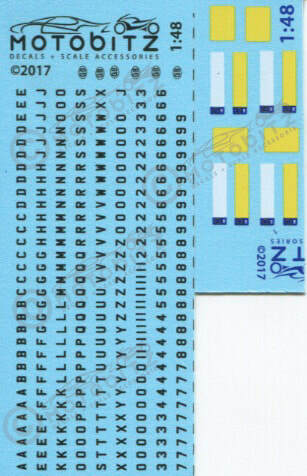 MBD24REG/B UK Number Plate Letters, Numerals, GB Plates and Front & Rear Plates. 1/24 Waterslide decals. 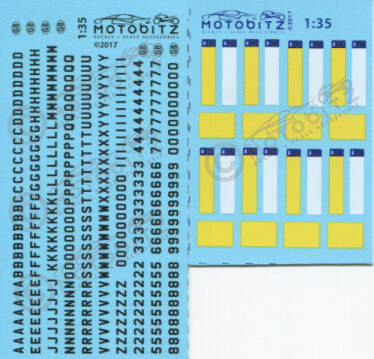 MBD32REG/B UK Number Plate Letters, Numerals, GB Plates and Front & Rear Plates. 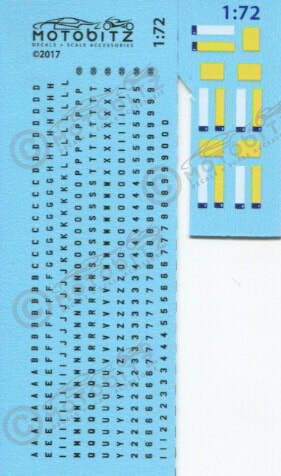 1/32 Waterslide decals. 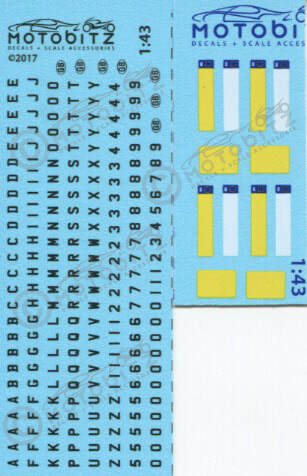 MBD35REG/B UK Number Plate Letters, Numerals, GB Plates and Front & Rear Plates. Waterslide decals. MBD43REG/B UK Number Plate Letters, Numerals, GB Plates and Front & Rear Plates. Waterslide decals. MBD48REG/B UK Number Plate Letters, Numerals, GB Plates and Front & Rear Plates. 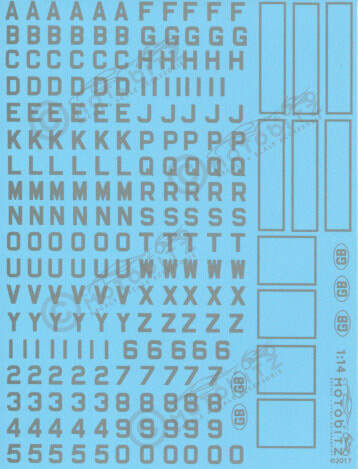 1/48 Waterslide decals. 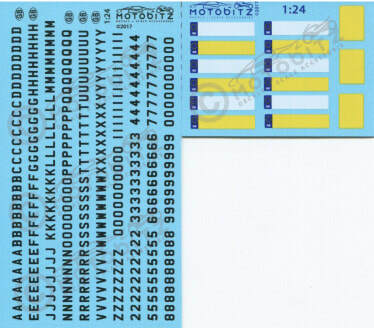 MBD72REG/B UK Number Plate Letters, Numerals, GB Plates and Font & Rear Plates. 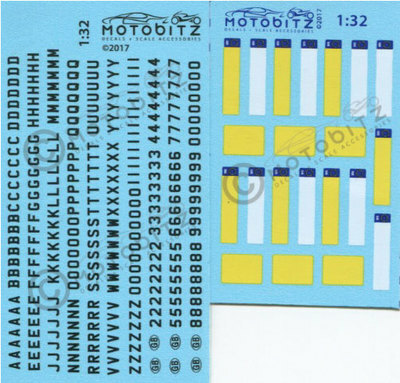 1/72 Waterslide decals. MBD14REG/S Classic Silver Number Plate Letters, Numerals, GB Plates and Plate Surrounds. 1/14 Waterslide decals. MBD24REG/S Classic Silver Number Plate Letters, Numerals, GB Plates and Plate Surrounds. 1/24 Waterslide decals. MBD35REG/S Classic Silver Number Plate Letters, Numerals, GB Plates and Plate Surrounds. 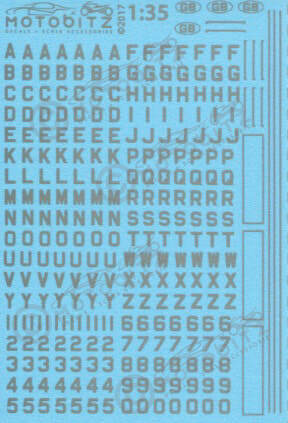 1/35 Waterslide decals. MBD43REG/S Classic Silver Number Plate Letters, Numerals, GB Plates and Plate Surrounds. 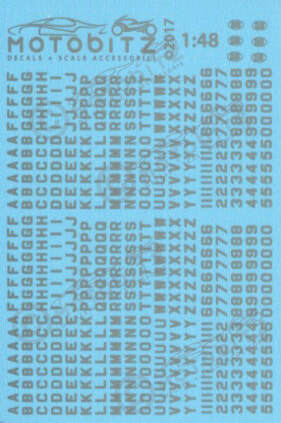 1/43 Waterslide decals. MBD48REG/S Classic Silver Number Plate Letters, Numerals, GB Plates and Plate Surrounds. 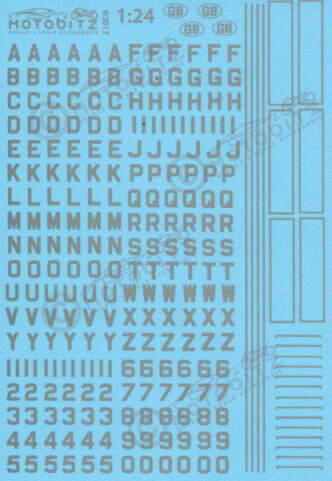 1/48 Waterslide decals. 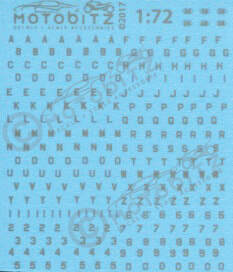 MBD72REG/S Classic Silver Number Plate Letters, Numerals, GB Plates, and Plate Surrounds. 1/72 Waterslide decals.